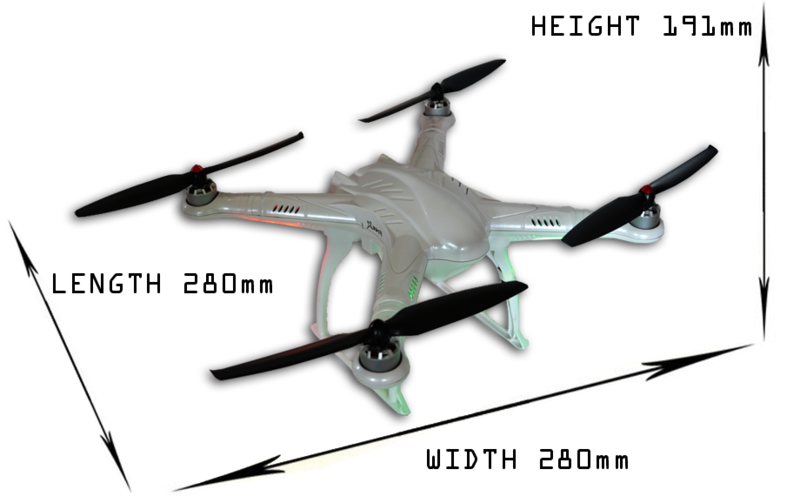 The FreeX RC drone is a versatile, very affordable and totally beginner friendly Quadcopter, specially designed to do aerial filming with GoPro cameras. 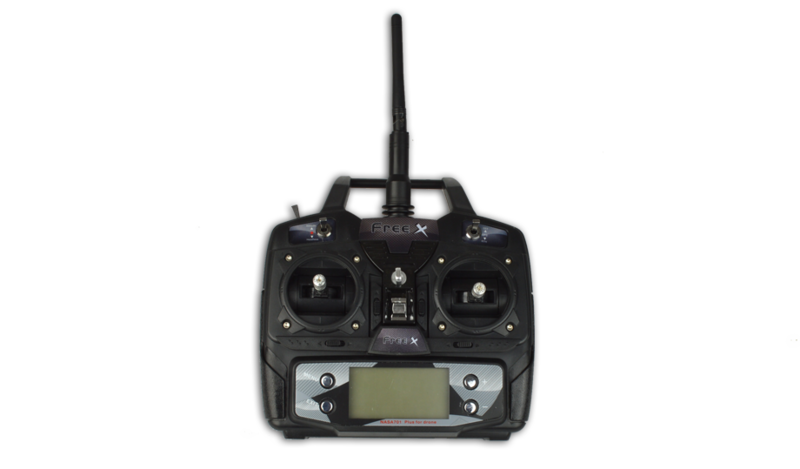 With its brand new design and state of the art, brand new flight controller Free X offers an unmatched yet extremely safe and reliable flight performance. The newest SPA built in safety protocol algorithms of the FreeX flight controller will always make sure that the drone will never show any out of control drift or fly away behavior, even if the GPS, magnetometer or compass are damaged. With this product, you earn 232 loyalty point(s). 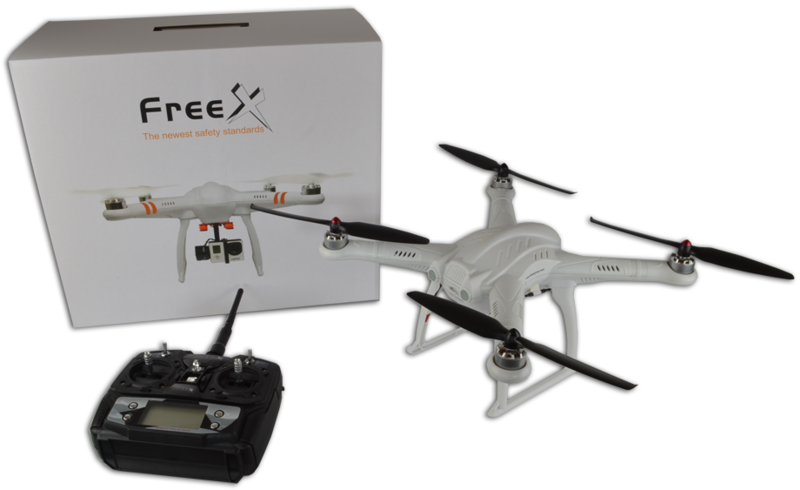 FreeX is a total RTF (ready to fly) right out of box model. 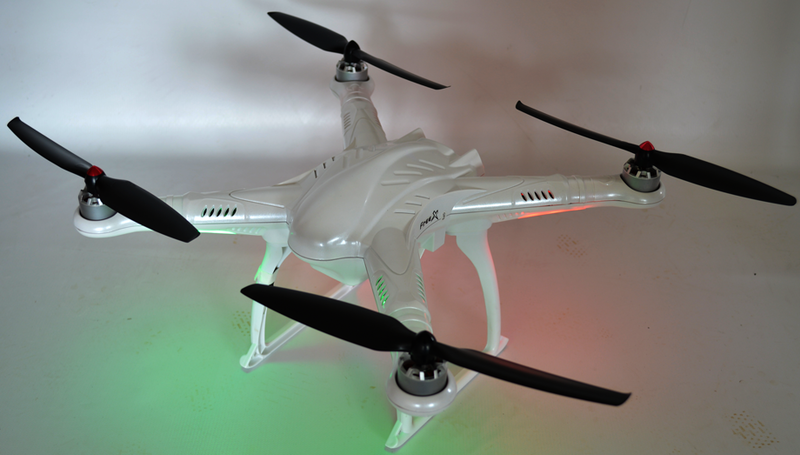 No need for any complex pre-flight settings, no programming and parameter tweaking is needed. Its It's ready to fly right out of the box after a simple compass calibration and one touch gyro initialisation with the supplied USB dongle. With the optional GoPro high performance light weight gimbal, you are ready to shoot stunning aerial videos using your FreeX quadcopter in no time at all. Direkt aus der box nach einer einfachen kompass kalibrierung flugbereit. Piloten können zwischen zwei modi nach verlorenen steuersignal - zurück zu startseite oder hover endlich stellung. Hi, no it does not come with one included.